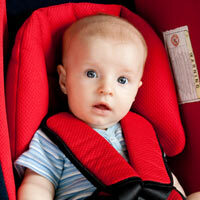 Read more tips from Elizabeth Pantley on how to make the road trip more enjoyable with baby! It’s not too late to get something for Dad this year. Visit our Pinterest Board for some ideas. 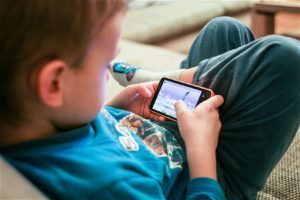 Screen Time & Development: Is too much screen time harming our children? Our guest post comes from International Nanny Association. A recent study presented at the annual Pediatric Academic Societies Meeting in San Francisco revealed that too much time spent on a handheld device may delay the development of children’s expressive speech. For many childcare providers including parents, passing the smartphone or tablet to a child has practically become second nature. New research indicates that our willingness to utilize smart devices solely as a distraction or for entertainment has increased in recent years, and a marked decline in interpersonal communication and interactions have resulted. Knowing the dangers of a developing brain being exposed to multiple forms of vivid, two-dimensional images and videos flashing erratically, many childcare professionals work diligently to reduce the amount of screen time that their charges are exposed to. This most recent research indicates that though screen time can indeed slow speech development when the child is left alone with the device, there is some evidence to show that the childcare provider interacting with the child and utilizing the device as a learning tool actually has a positive effect on that child’s communication and development. I sat down today to review a ton of information for a client I am seeing next week. I am going into the home of first time parents-to-be to teach them the baby basics; essentially a baby “boot-camp” if you will. I LOVE working with first-time parents—there is an amazement and wonder that they hold that just makes me smile and the confidence they gain in their newly learned skills is a fantastic site to behold! However, as I reviewed information I have seen a thousand times at least, it reminded me that new parents are made every day, and safety is never out of style. So I want to talk about crib safety today. Continue reading for guidelines are set forth by the American Academy of Pediatrics (AAP) and additional information from Newborn Care Solutions. Reprinted with permission. Elizabeth Pantley, Excerpted with permission by McGraw-Hill Publishing from The No-Cry Separation Anxiety Solution (McGraw-Hill, 2009).